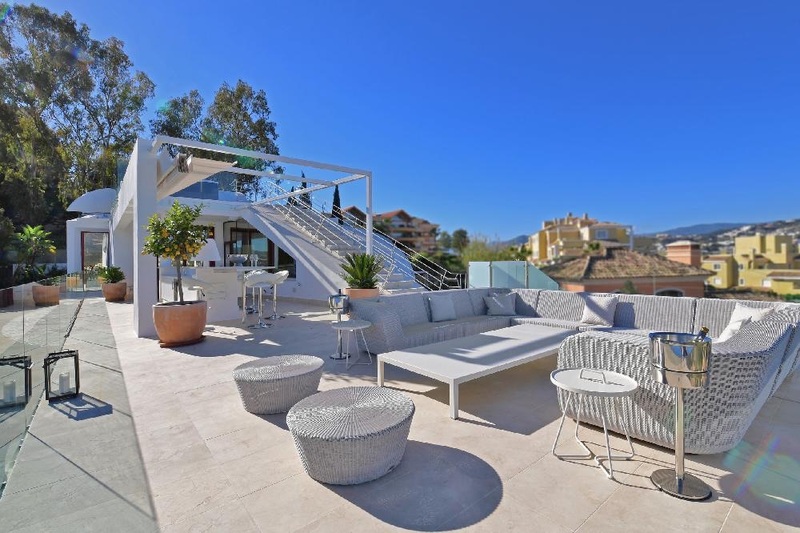 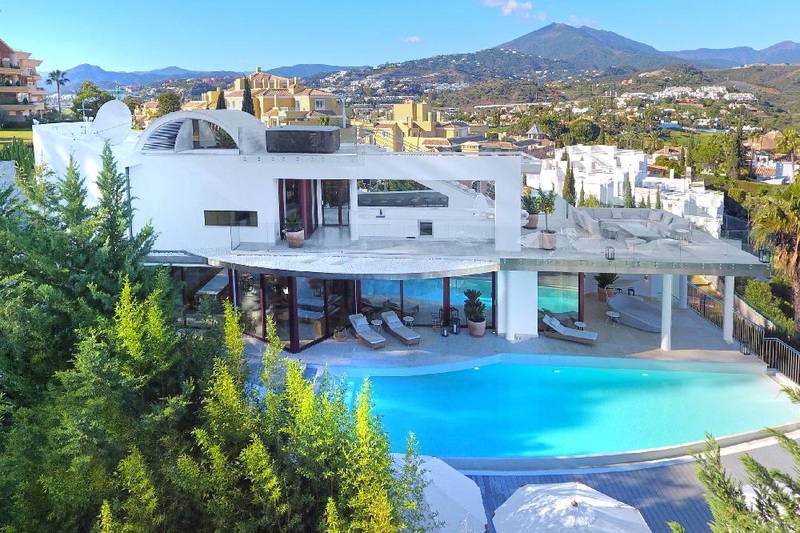 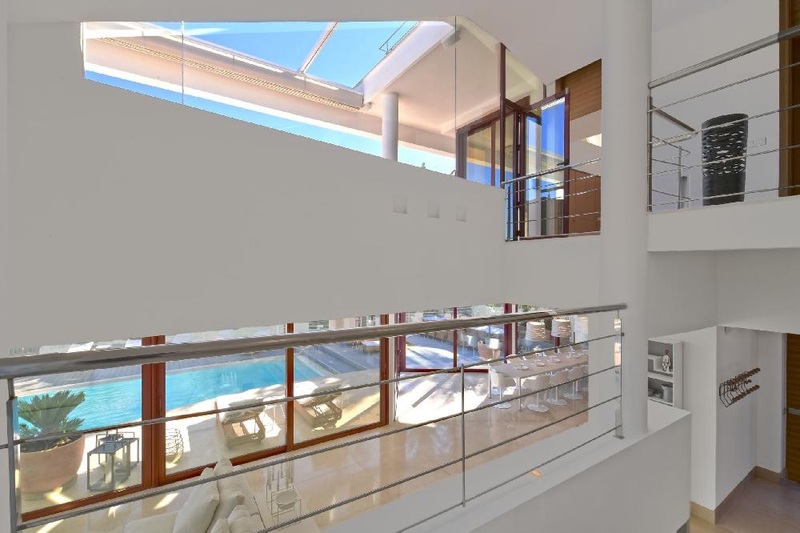 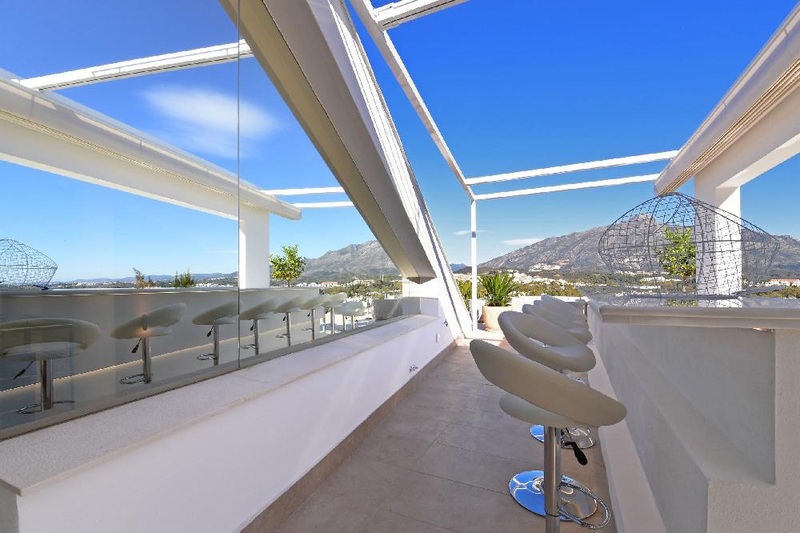 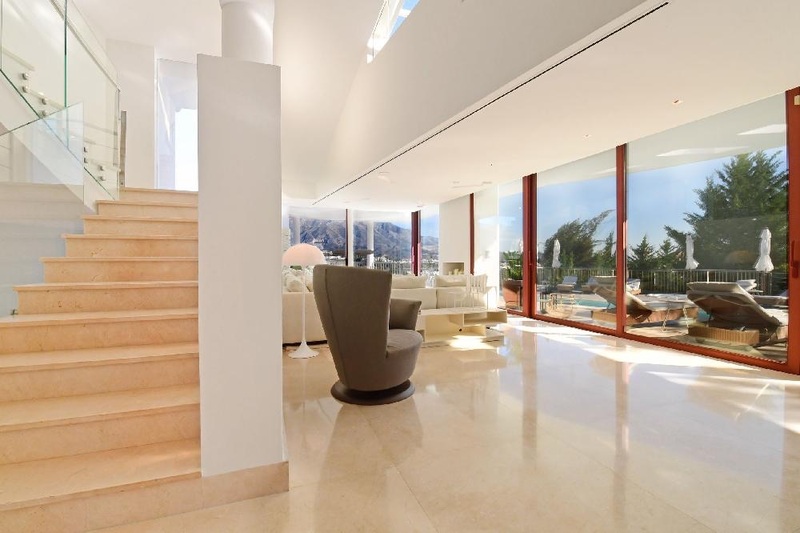 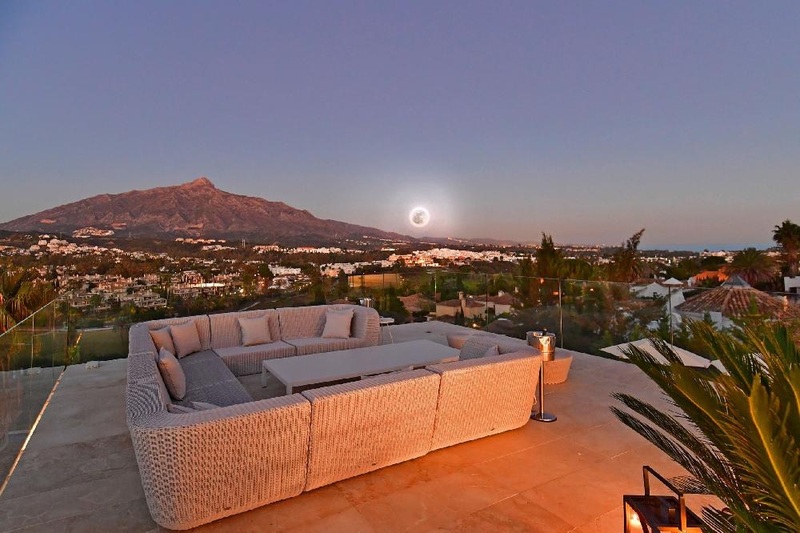 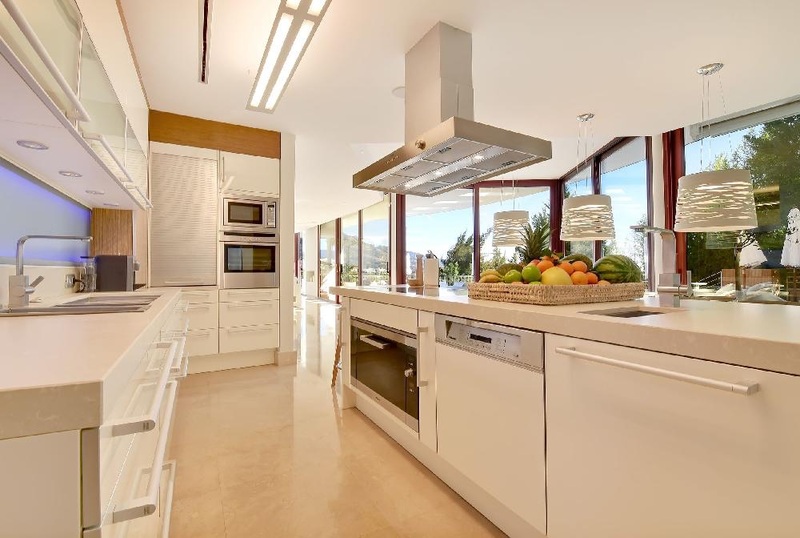 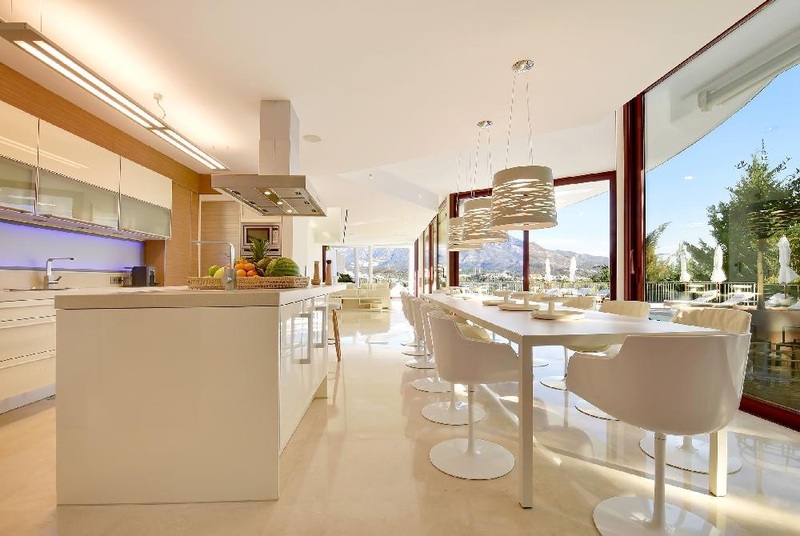 Stunning villa, 7 Bedroom, 7 Bathroom with panoramic view, sea, golf and mountain, very close to Los Naranjos Golf and only 5 minute drive to the centre of Marbella and Puerto Banus. 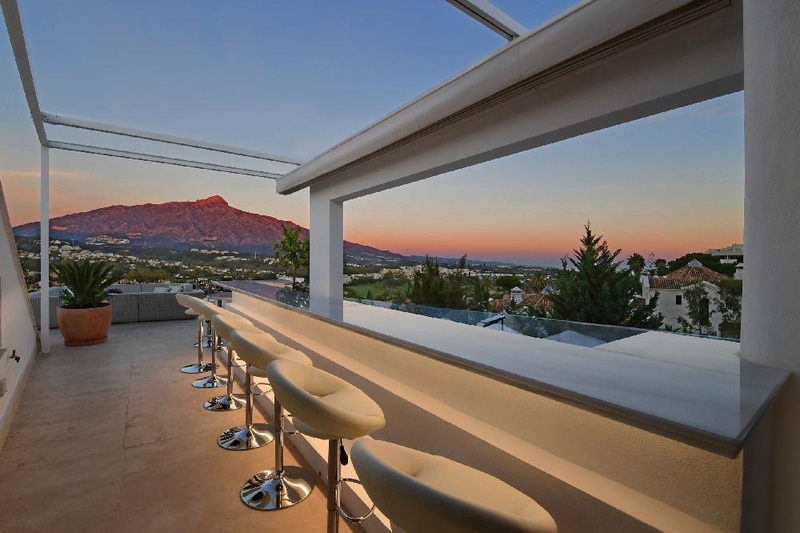 The cutting edge architecture of this outstanding villa designed by a renowned architect displays clean lines and geometric patterns with an exceptional use of light and space to capture spectacular panoramic views, recently been completely renovated throughout to the highest standard, all bedrooms are en-suite and boasts an amazing cinema room, snooker room & a luxury bar. 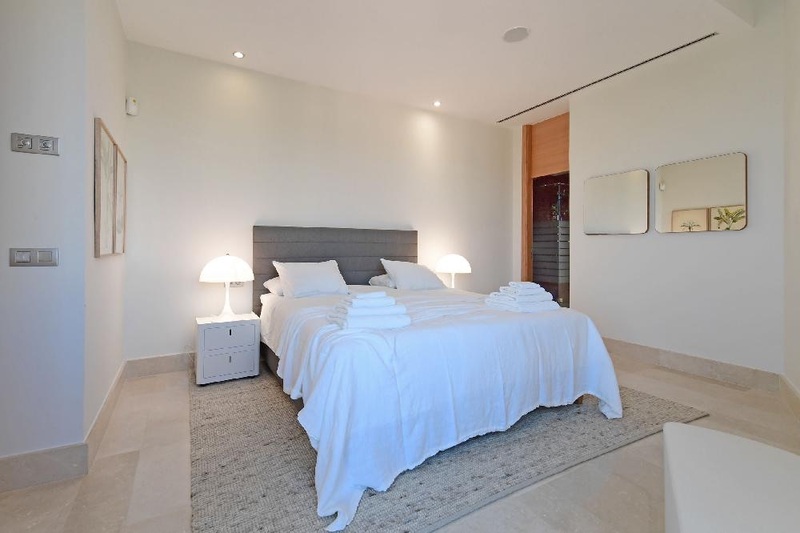 The accommodation comprises an entrance hall with a guest toilet, a lounge/dining room with decorative fireplace, a fully fitted kitchen equipped with Neff, Gaggenau and Miele appliances, a study and a laundry. 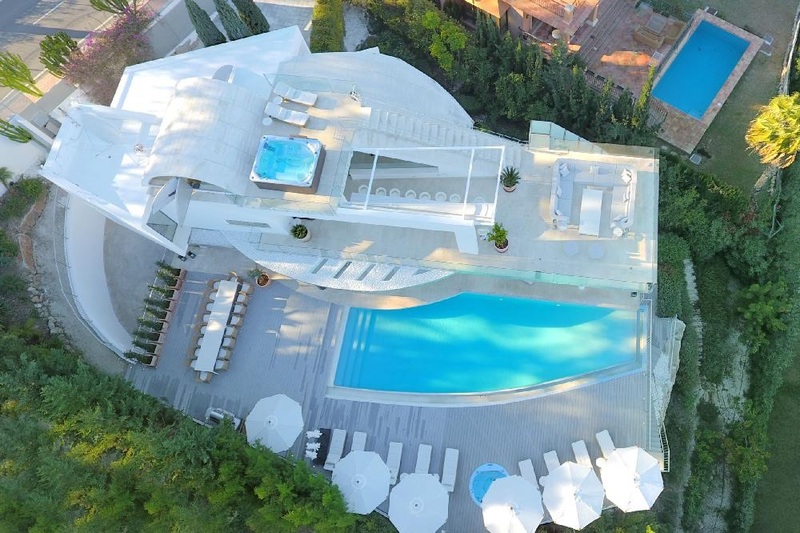 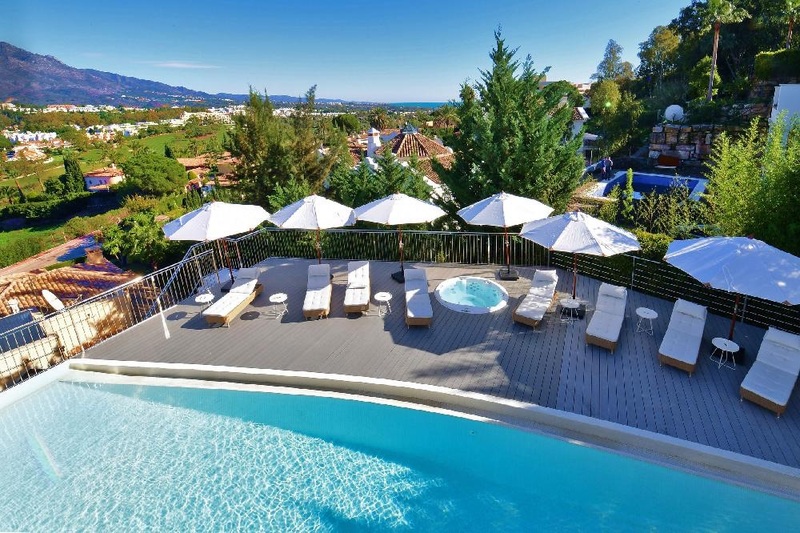 All the rooms lead out to the decked terrace with a heated swimming pool and stairs to the upper terrace. 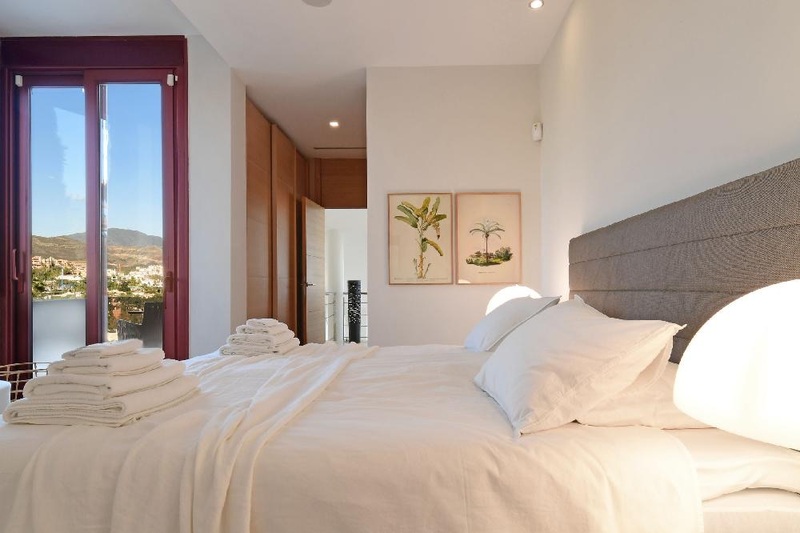 The upper floor features a master bedroom suite with vaulted ceilings, ensuite bathroom with waterfall, shower and a bath tub, and a guest bedroom with bathroom en suite and private terrace with mountain views. 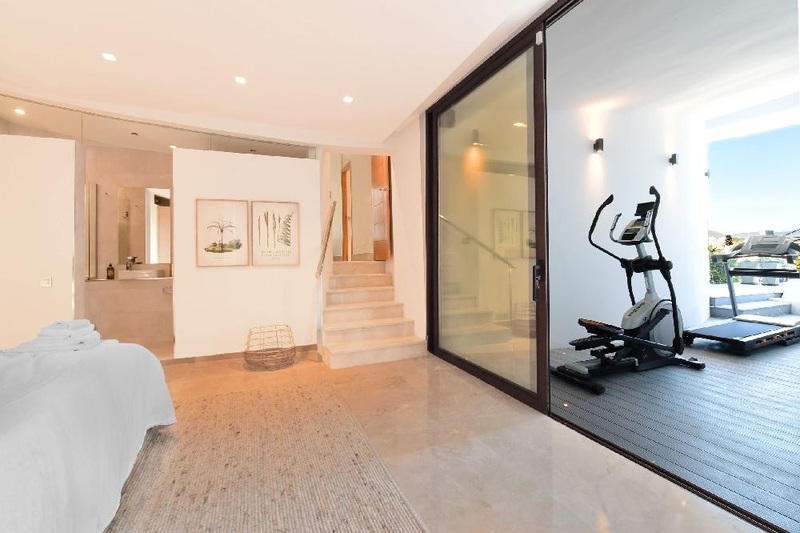 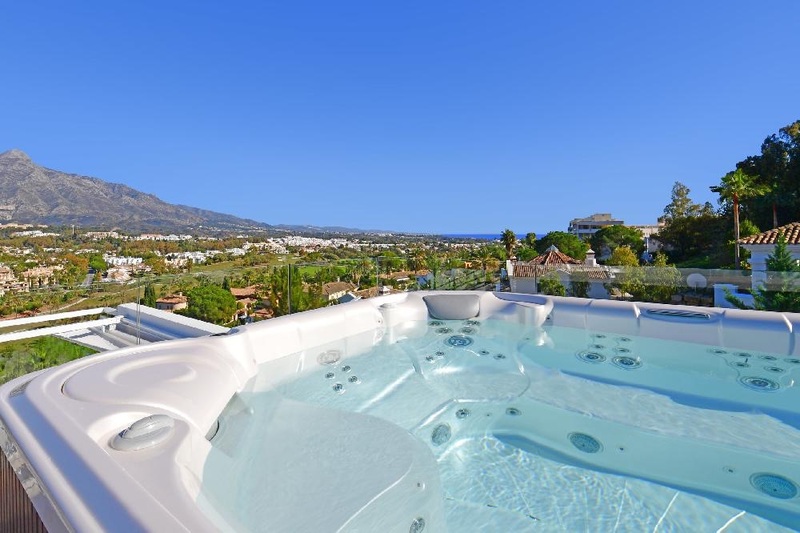 Both share a large terrace with jacuzzi, views over Las Brisas golf course, the mountain La Concha and the sea. 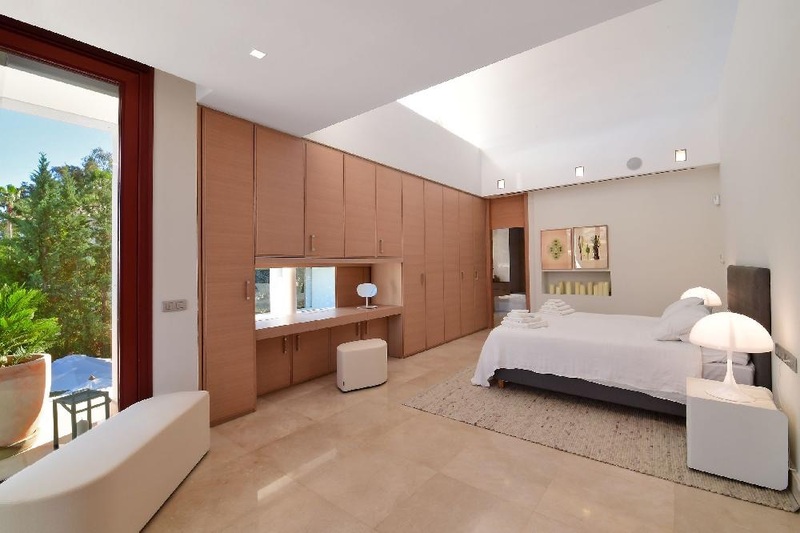 The garden level houses 3 more bedrooms. 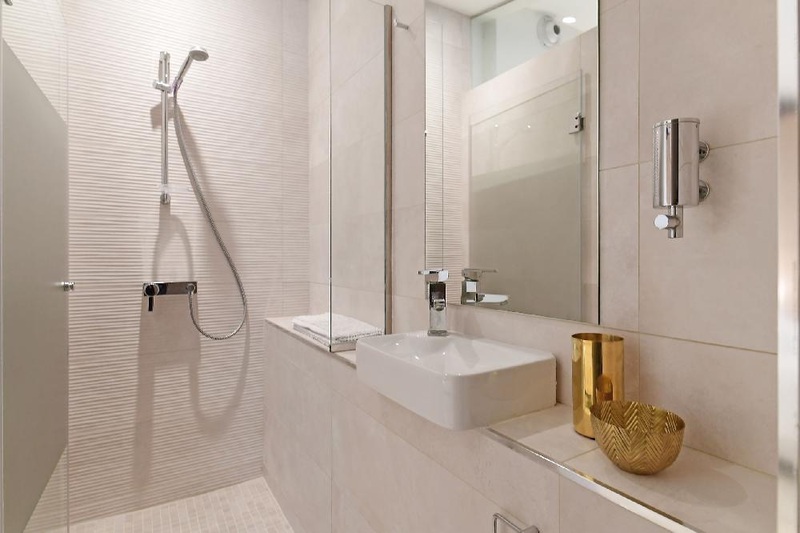 Two of them share a shower room and the last one is en-suite. 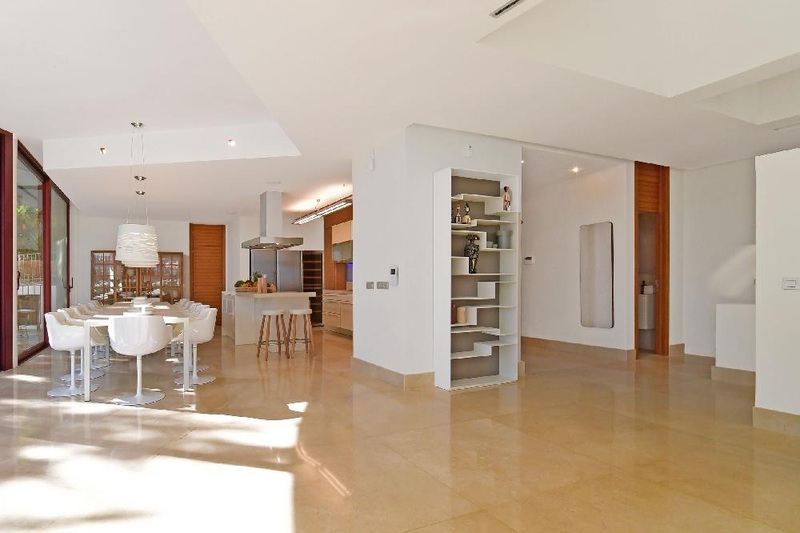 The machinery room and 2 car garage complete this level. 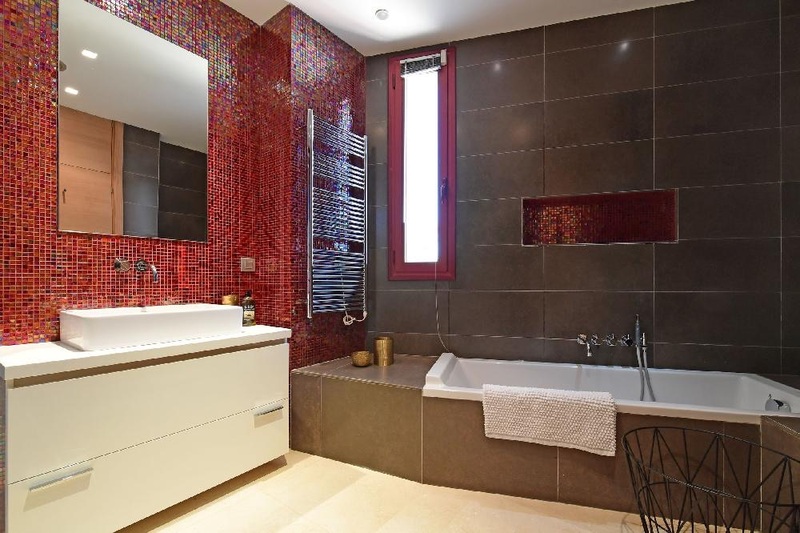 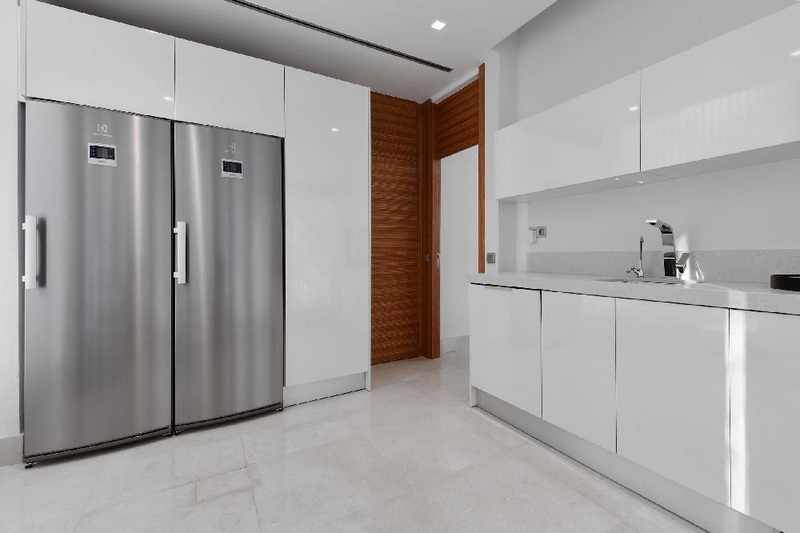 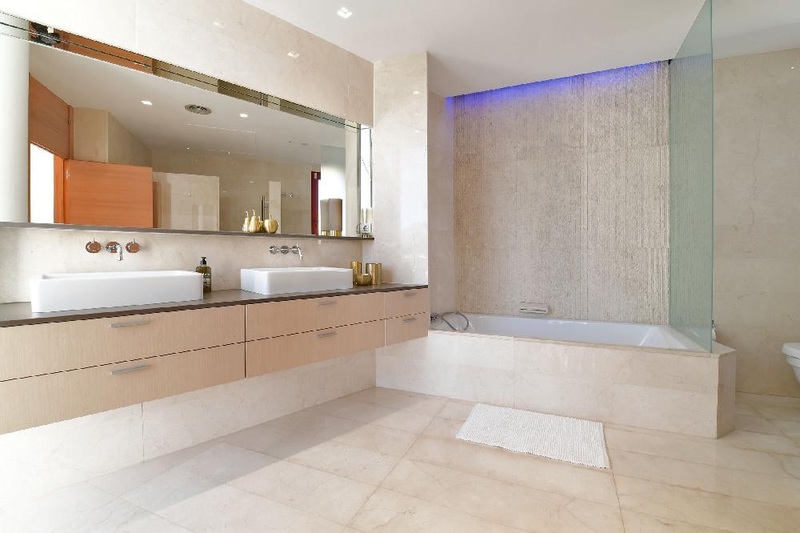 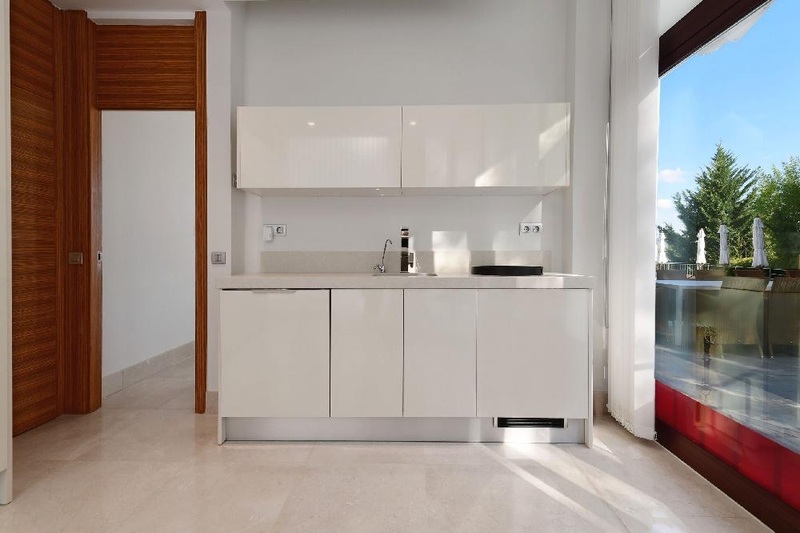 The property has electric and water under floor heating, double glazing, air conditioning, music system, video entry phone and exterior and interior alarm system. 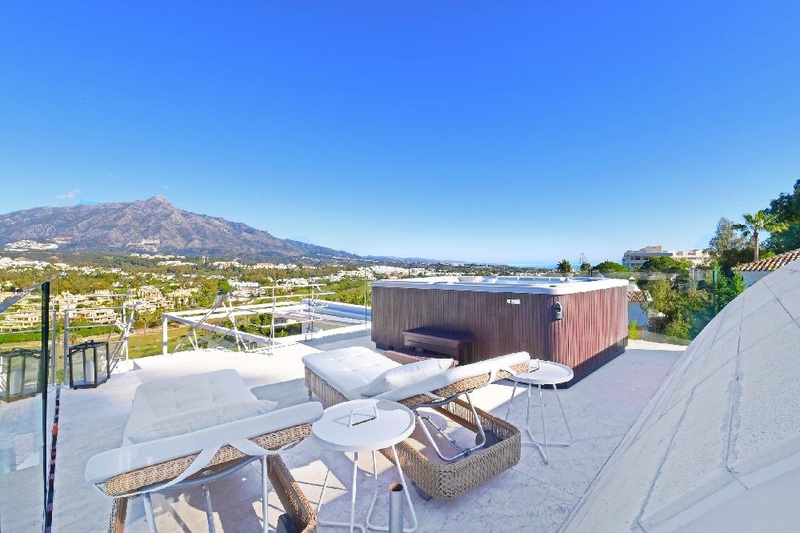 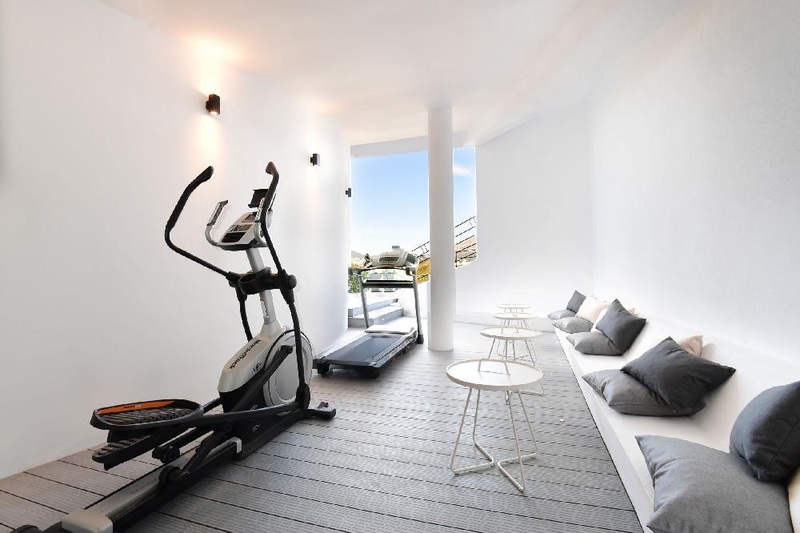 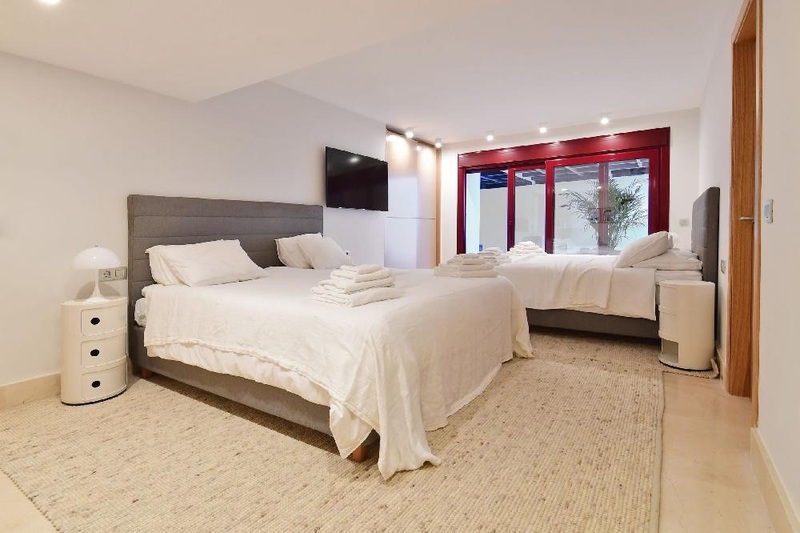 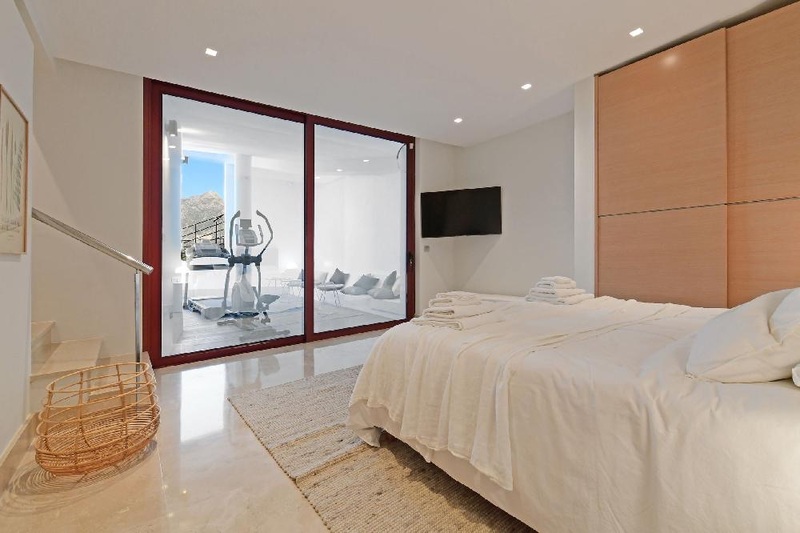 It is located 500 m from Los Naranjos Club de Golf, 3 km from supermarkets, 4 km from Puerto Banús, 4 km from Puerto Banús sand beach and 60 km from Malaga airport.